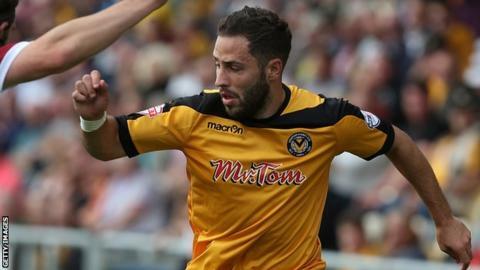 Newport County could have midfielder Robbie Willmott back from injury ahead of schedule. The midfielder suffered a serious foot injury in October 2014 and it had been feared the 24-year-old would be out for up to five months. But Willmott could now be back in action within six weeks, providing Newport boss Justin Edinburgh with a timely boost. Newport are next in action at home to Plymouth Argyle on Boxing Day.